Here's the final box art for Grand Theft Auto: Episodes from Liberty City, the stand-alone versions of Grand Theft Auto IV's first and second doses of downloadable content. 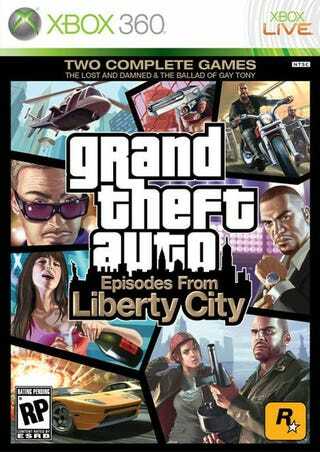 Rockstar sure has been busy this weekend, releasing a set of screenshots for The Ballad of Gay Tony, announcing Grand Theft Auto: Chinatown Wars and Beaterator for the iPhone, and now we get our first look at the box art for Episodes from Liberty City. You'd think they'd just take the rest of the week off, but no - tomorrow they release the trailer for The Ballad of Gay Tony. Then they take a richly-deserved nap.